In the first couple of years of the Westland ASR-pilot, regular visits to the field site were required to adjust the operation of the system and obtain data of its operation. 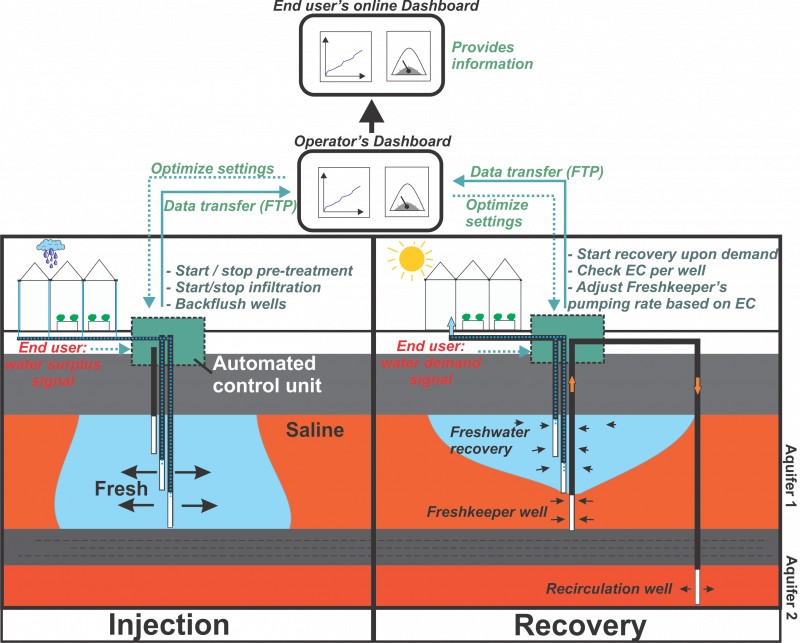 Meanwhile, an online Dashboard is being built by NTUA to better expose the operational information of Subsurface Water Solutions to the end user or the operator and the public (if appropriate). This dashboard will use and illustratively expose the data regularly sent out by the automated control unit. Set-up of the Subsol ASR-coastal operational system to facilite a robust operation and better market uptake.